This product will engage your students with hands on learning to help them understand multiplication with arrays! You can have them build different arrays, or use this product to show the commutative property of multiplication. 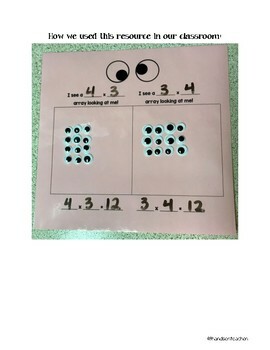 I bought "googly eyes" from the dollar tree and allow my students to build their arrays. However, you do not need to have a manipulative for this resource. You can simply have your children draw arrays with dry erase markers. 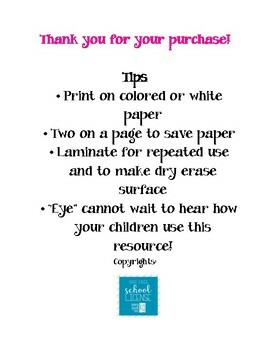 Click on the preview to see how my kiddos use it! 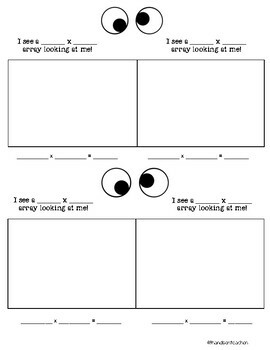 Please let me know how you use this resource in your classroom!